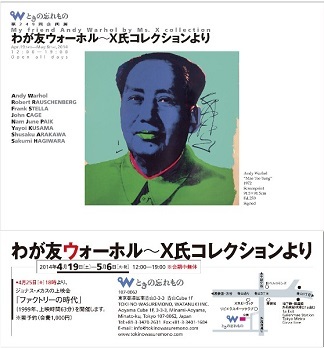 Born 1929 in Nagano, Japan. 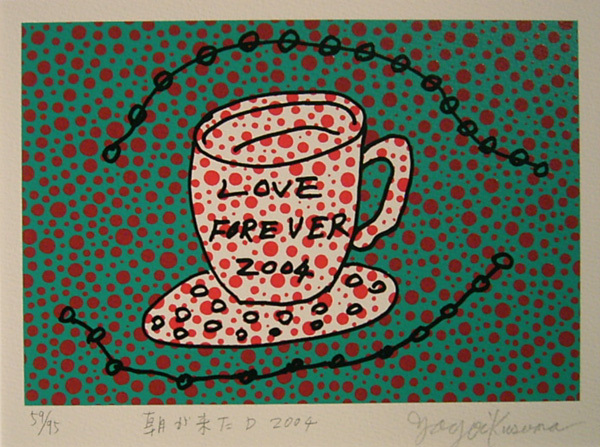 Kusama started to paint using dots and nets as motifs for the cure for Obsessive-Compulsive Disorder. 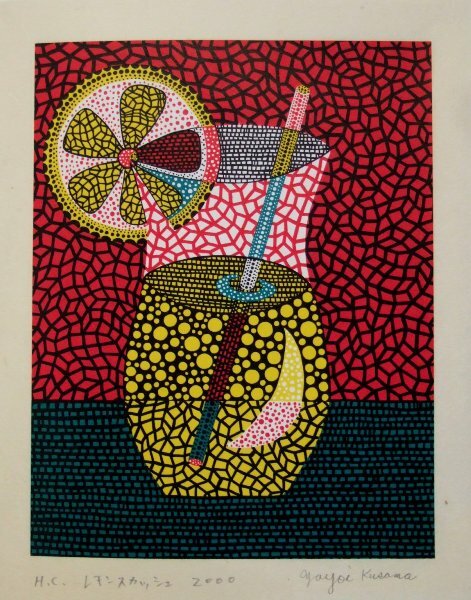 After graduating Kyoto City High School of Arts and Crafts in 1949. 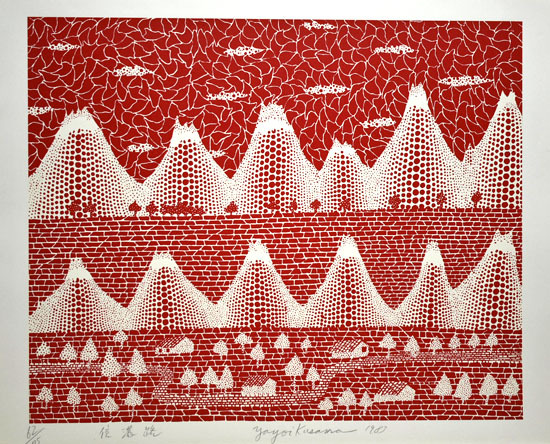 Moving to New York in 1957, she quickly established her reputation as a leader in the avant-garde movement with her works. 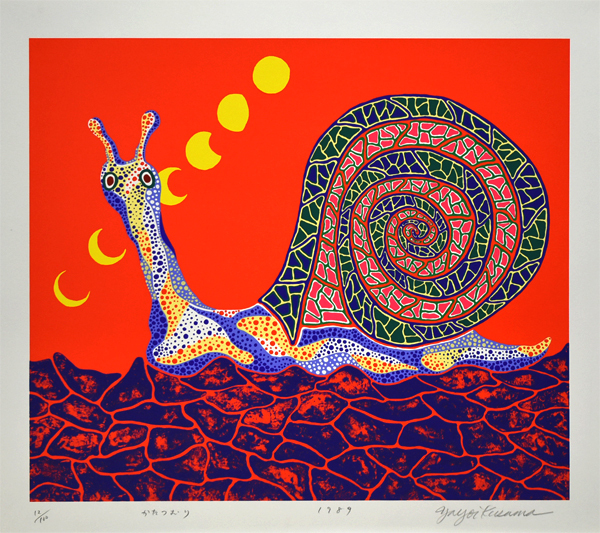 In the late 1960s she organized outlandish happenings such as body paintings and anti-war demonstrations. 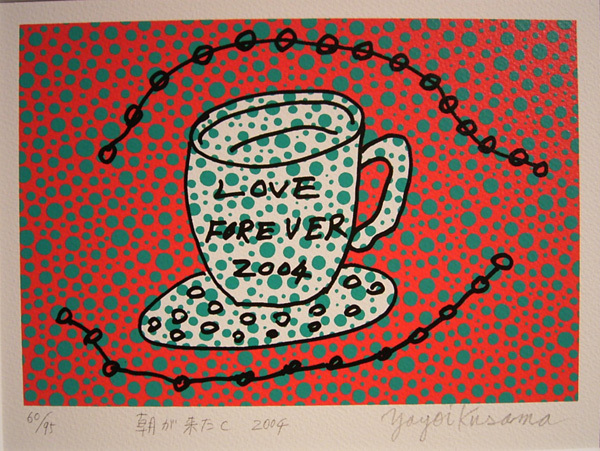 She returned to Japan in ill health in 1973. 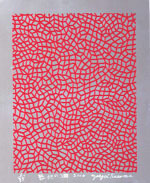 Held solo exhibitions at museums in Dole and Calais, France in 1986, New York and Oxford, England in 1989. 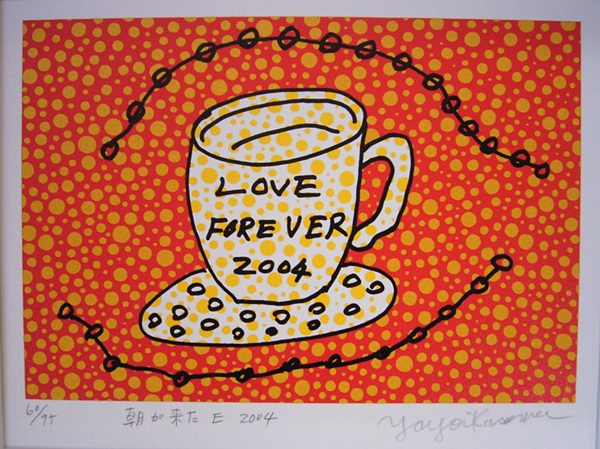 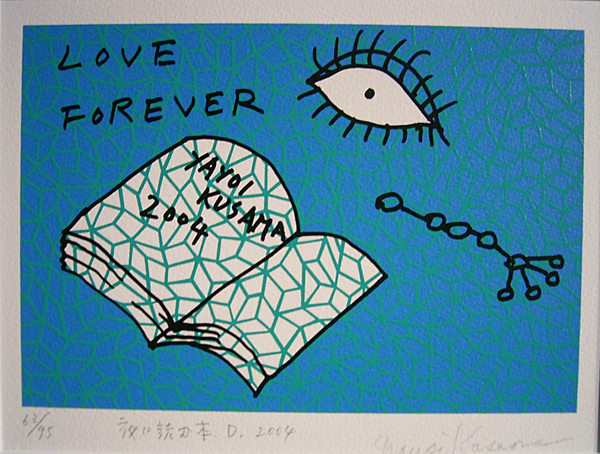 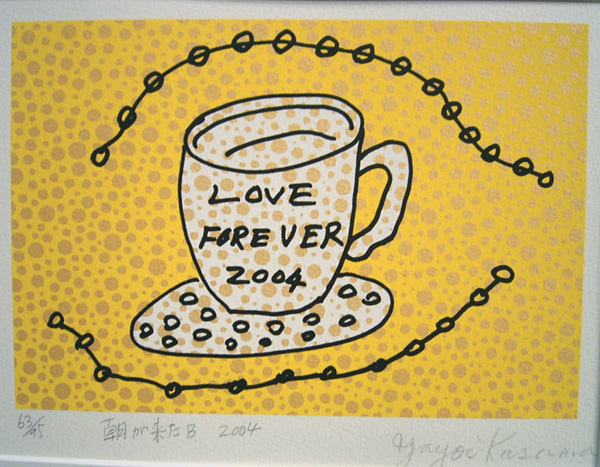 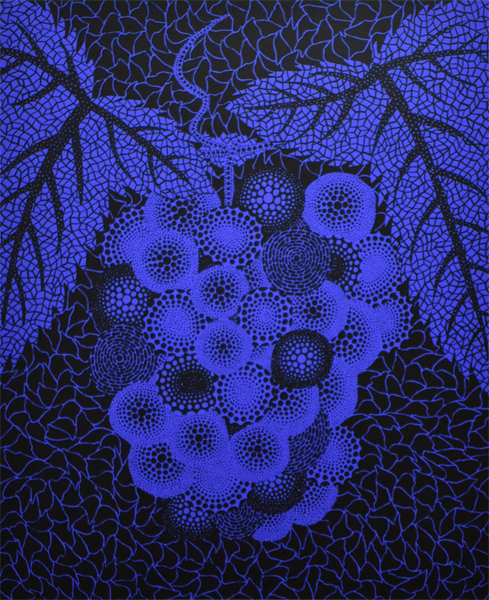 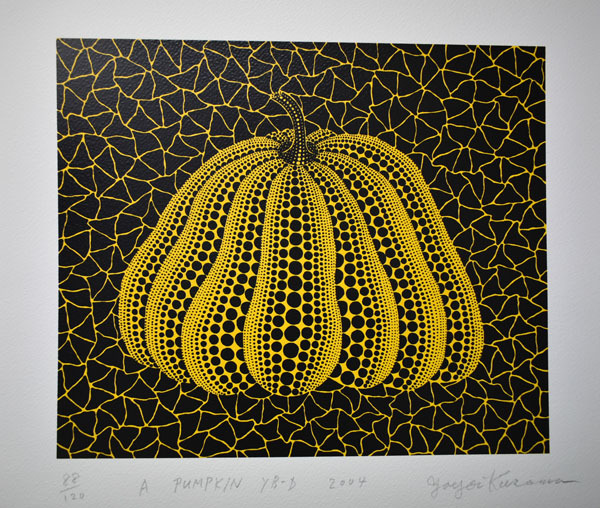 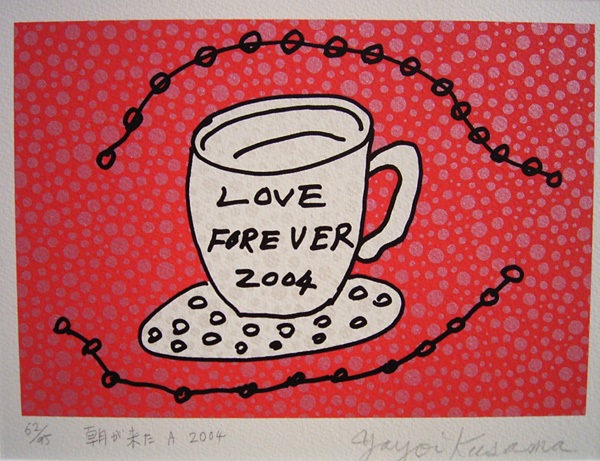 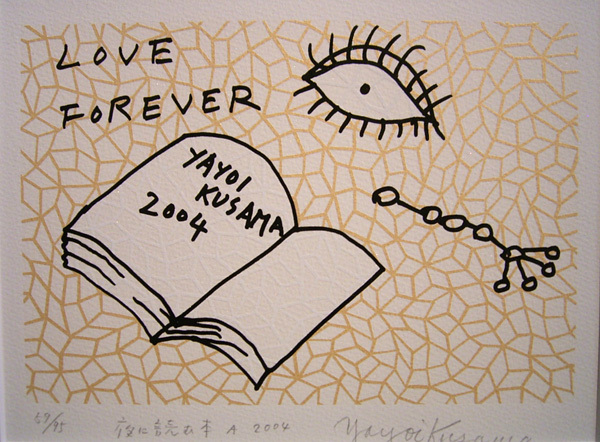 In 2000, Kusama won The Education Minister's Art Encouragement Prize and Foreign-Minister's Commendations. 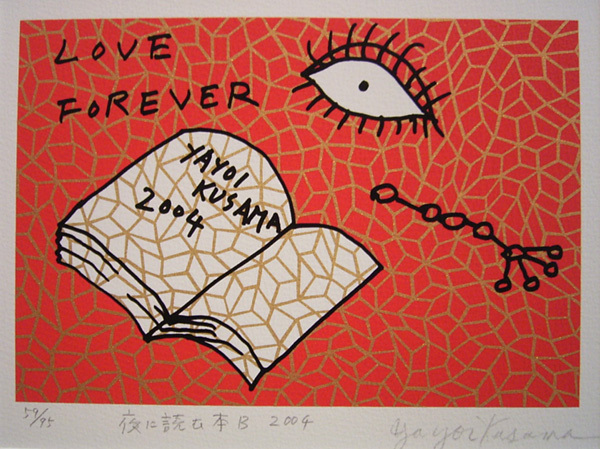 Received the Asahi Prize in 2001, Ordre des Arts et des Lettres in 2003. 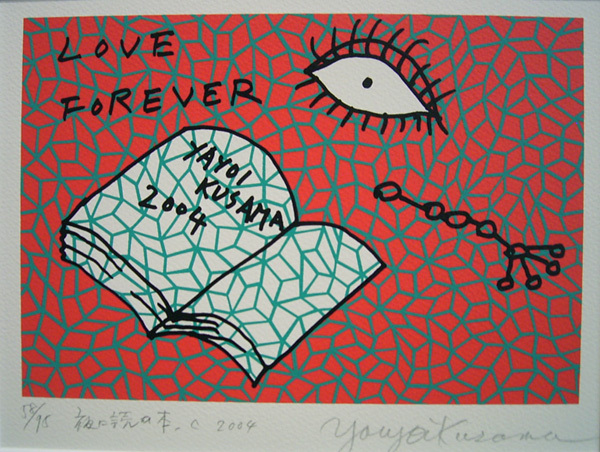 Poster for "Yayoi KUSAMA Exhibition"
"Rain in the Evening Glow"
"Book to Read at Night A"
"Book to Read at Night B"
"Book to Read at Night C"
"Book to Read at Night D"
"Book to Read at Night E"
♦ Daegu Art Fair 2010 (Japanese page) 17th Nov. - 21st Nov.
♦ KIAF2010 Korea International Art Fair 9th Sep. - 13th Sep.
July 16 - ,2009　"Yayoi KUSAMA"